Not Satisfied? 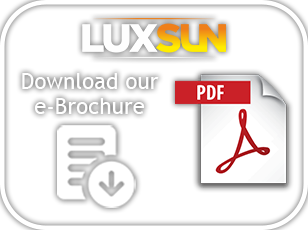 Luxsun ltd. will assist you with technical problems, replacements, and exchanges while our products are under warranty! Need a Refund: To receive a full 100% refund, you must contact us and return the product within 14 days after receiving your product. After 14 days, refunds include a 15% restocking fee. After 30 days, Luxsun ltd. will not offer refunds, but will still cover warranty issues. Items that have been cut, damaged or abused. Items that are missing accessories, such as remote controls, cords, etc. Clearance items are sold as is. No returns, refunds or exchanges will be accepted for any clearance item. Clearance items are under warranty for replacement only. You can return online purchases through the mail process. To return your online purchase by mail. 1. Pack your return in the original shipping package, if possible. 2. Include all original packing materials, manuals and accessories. 4. For proof of delivery, we recommend that you return items via DHL. Keep the tracking information if possible. Only domestic shipping charges will be refunded, or a return label will be issued if Luxsun ltd. is responsible for the return; such as mistakes during packaging or retrieval of defective products. Otherwise, shipping charges will not be refunded and Luxsun ltd. will charge a 15% restocking fee after 14 days of recieving packages.